Back in March of this year, I got an email from a guy named Dan. He reached out to me as a stay-at-home dad with a teenage son with type 1 who was finding a lot of support online through the blogs (like this one) and Facebook communities he was finding. He also mentioned that he's a filmmaker and was in the beginning stages of creating a "narrative about type 1". Being a person who is not all that familiar with the movie world, I honestly wasn't quite sure what that meant. He was making a documentary? A short movie? An audio book? Well, okay. Since that time we've exchanged some emails and I've more fully understood what he's doing, and guys? It's freaking awesome. The narrative (short film) is called DxONE, and it's an approximately 18-minute peek into the world of a family dealing with a child with type 1, as told through the voices of a father and son. I know that the most cliché reaction to a movie is, "I laughed! I cried!"... but for real, I did. A film made by people who are personally living with the hardships and worries of the story they are telling are bound to hit the right chords. 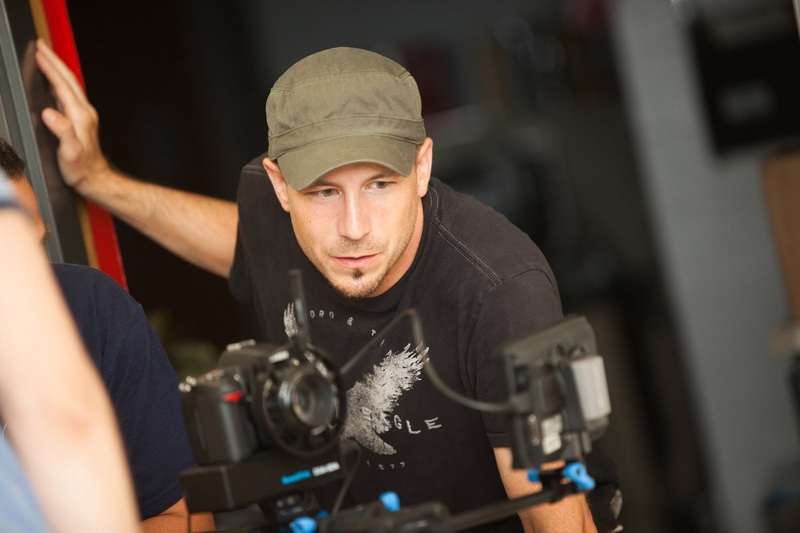 Dan Masucci is hoping to get, in his words, a "grassroots effort" behind the film so that it can gain as much exposure (and do as much good) as possible. He let me take a sneak peek at an unfinished version of the film earlier this month, and answered some of my questions about the film this week. Here's what he had to say! Kim: Hi Dan! Thanks for agreeing to answer some questions about your film. What is DxONE about, and what inspired you to tell this story? 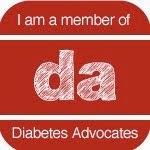 Dan: My son Nicholas was diagnosed two and a half years ago with Type 1 Diabetes. Like most of us who have a loved one diagnosed, it came out of nowhere and was really shocking. As a storyteller, I knew almost immediately that I wanted to make a film about it, my first thought was that it would be cathartic. However, I was derailed by the event for nearly two years and even though I attempted to write about the experience, nothing solid came to me. I don't think I've come to terms with it even now but earlier this year, the time was right to start working on the film in earnest. I believe what really helped me become ready was spending the last two years realizing how little people who don't have Type 1 in their lives know about this terrible disease and how dangerous it can be. I've had people suggest dietary changes for my son and others who told me how holistic remedies could cure it. 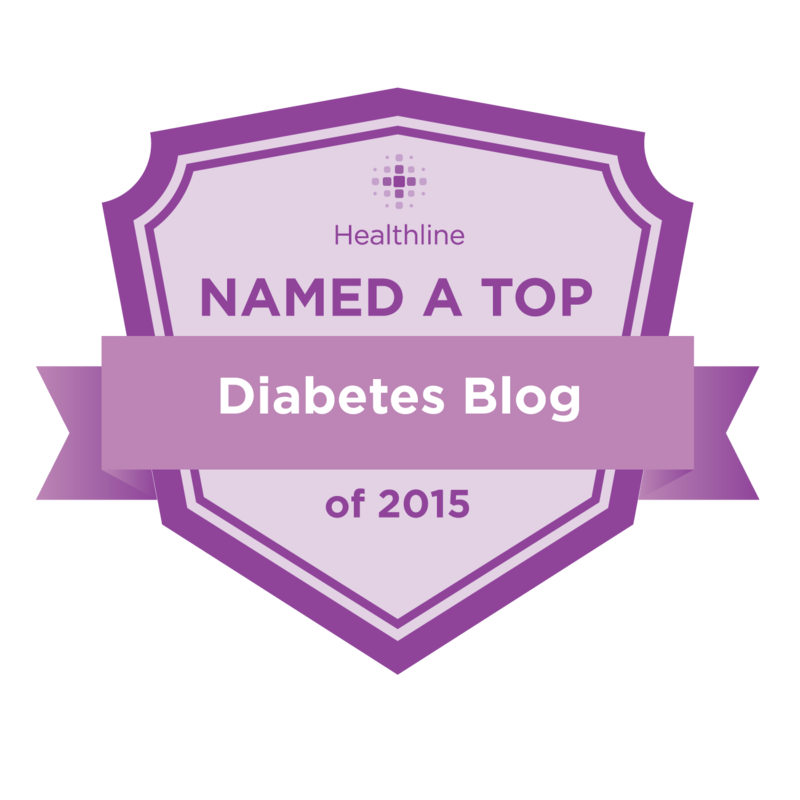 People have heard of Type 2 Diabetes and think it's the same. I wanted to make a film that would help clear that up. I know there are a number of books on the topic of Type 1 Diabetes but with a film, a group of viewers can sit down and digest it at the same time. Rather than make a film that was a documentary, I wanted to make a dramatic narrative, and tell a story so it would feel more personal. This film could be about any of us who have Type 1 Diabetes or have a loved one with Type 1. Kim: I think that is part of why DxONE resonated for me - there were definitely lines in the film that I've either thought myself, or heard from others who care for people with diabetes. How much did your own experience helped you write this film? Dan: I definitely wrote the script based on my own experiences with having a T1 son. I know that the experience isn't the same for every person so I wanted to touch on as many of the things that I believe are universal to the day to day experiences of families dealing with this. I could quite literally have made a mini-series about the topic but as a no budget indie filmmaker, I knew that I had the cherry pick what I believed was most important to help bring understanding and to make a film that other T1 families could relate to. Kim: I know you've mentioned that you'd like to see a "grassroots effort" behind the film. What do you hope that DxONE can do for others - with diabetes and without? Dan: It is my hope that DxONE can be used as a tool to raise awareness, help with fund raising (for appropriate organizations) and most importantly touch viewers. The films that I make tend to be family-themed dramas and my goal is always to get a strong emotional response. I believe that DxONE can do that whether the viewer has T1 in their lives or not. At its heart, the film is about the love that a family shares and that is something everyone can identify with. I had someone in my own family who told me after Nicholas was diagnosed that "at least it isn't fatal" and I was thunderstruck by that comment. I wanted to be angry. I wanted to yell and tell them that they didn't know what they were talking about. I think there are a lot of people like that, people who don't know how threatening Type 1 Diabetes is. But, I didn't want to focus on the doom and gloom that you can easily fall into. I wanted the message of the film to be about hope. Kim: I think you accomplished just that. How can people keep up with the film's progress, and what is the expected release date? Dan: I'm currently in post-production for the film, finishing the edit. People can keep up with the film's progress by staying tuned to the Facebook fan page or at my personal website, http://www.fountainheadpictures.com/. I'm hoping to have the film completed by the end of 2011 or early 2012. In the past I've taken my films on the film festival circuit where they have screened collectively at more than 140 film festivals worldwide. I'd like to do the same with DxONE but I'm not yet sure about what other venues the film will find. I know that I want to make DxONE accessible to the T1 community but to do that, the film really needs a grassroots movement behind it to help in that effort, so the more fans it gains, the better chance of it getting exposure. I'm hoping that this film is something that can help the T1 community use to get attention for government support as well. Below are some links where fans can follow the film and view video samples, behind the scenes clips and the trailer. Dan Masucci lives in New York where he has been a stay-at-home father since his first child’s birth. In 2007, he made it into the top 1% of more than 12,000 directors competing for a place on the Steven Spielberg/FOX Reality show, "On The Lot". The films Dan has written and directed have collectively had more than 140 film festival screenings worldwide and garnered more than 25 awards. For his short film "Letting Go", Dan was awarded the Idaho Film & Television Institute's IFTI Visionary Award. Dan has been a "visiting expert" and panel speaker at national film festivals and other media related events. He is currently working on his first novel, a Young Adult thriller titled "Hollowville." Edit: you may now also find Dan on Twitter (@DanMasucci). Can't wait to see the final film. i got involved with his kickstarter project and have been following his progress on FB. thanks so much for the interview, i look forward to seeing the final cut! Wow! That sounds really interesting. I can't wait to see the final version.